As the story goes, a "data-visualizer and designer" at NASA created the earth image digitally in 2002; Apple then used it 4 years later as a default wallpaper for the iphone. Of course, the clouds depicted in the composite were supposedly taken from a satellite. As we should all know, the only "real" photos taken of the earth were from the Apollo missions. "And that blackness surrounding it? That’s not space, either." Ah, yes. This explains a lot. If these are done then great, you've solved it... and provided a well founded alternative theory to the Neutral observer. Let me re-formulate, for clarity, my above statement once again (regarding the absolutely undisputed existence of Near-Earth Asteroids - ever since the dawn of times) : I don't think that there is ANY debate / controversy whatsoever among astronomers about the fact that countless NEA's have been observed (with the naked eye) LONG before 1957 - and documentably so - at least since the 17th century (although it seems that, back then, astronomers usually referred to 'asteroids' as 'comets'). 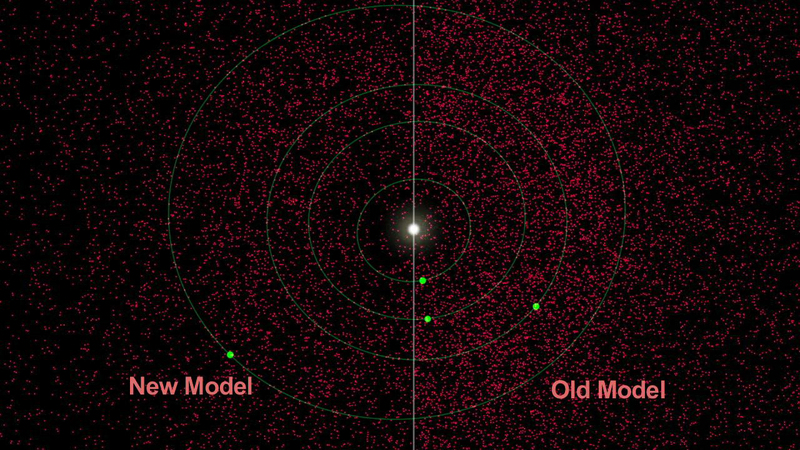 I will now vividly encourage you to read this fine article "Comets Demystified, Asteroids Discovered" which neatly summarizes the gradual discovery - by direct visual observation - of untold numbers of asteroids (or 'moving stars'). 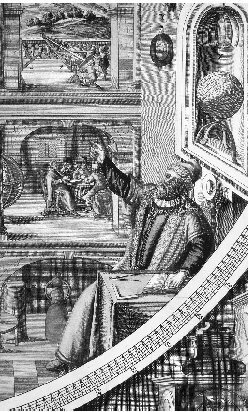 An engraving shows Tycho Brahe, who proved that comets lie beyond Earth's atmosphere. "The discovery of asteroids, celestial bodies that are closely related to comets, soon followed. Only forty-three years after the first confirmed return of a periodic comet in 1758, an astronomer sighted the largest asteroid in the solar system. At the time, scientists thought this object was a small planet. And for a while, as other large asteroids were discovered, these bodies were routinely called "minor planets." Eventually, though, it became clear that they represented an entirely new class of celestial bodies—hunks of rock and metal wandering through the dark gulfs of the solar system along with the comets." Astronomers continued to use direct visual observation to find asteroids until 1891. In that year, German astronomer Max Wolf introduced a new, much more effective method for the search—photography. After mounting a camera on his telescope, Wolf made the first photographic discovery of an asteroid—named Brucia—in December 1891. (He knew it was an asteroid and not a star because he left the camera's shutter open for several hours; the stationary stars appeared as sharp dots on the photographic plate, whereas the moving asteroids left long trails of light on the plate.) Using this technique, Wolf was able to find four asteroids in a single night (September 7, 1896), considered an incredible achievement at the time. During his career, he discovered a total of 232 asteroids. This record was soon broken by his assistant, Karl Reinmuth, who found 284 asteroids. The rapid and continuous multiplication of discoveries, since the invention of the photographic method for their detection, has introduced an embarrassment of riches which makes it difficult to decide what to do with them. Indeed, many astronomers became bored with finding asteroids and began to view them as useless cosmic garbage littering the heavens. In the 1930s, therefore, asteroid research came almost to a halt. It was not until about 1970, when the U.S. space program opened up fresh avenues for such research, that a new generation of astronomers showed renewed interest in asteroids. See, I really wished to get this matter out of the way for good - as I find it quite stunning that so many people are apparently unaware of (or even debating) the very existence of asteroids - these 'moving stars' I observed with my naked eyes on a regular basis in the clear night skies of Norway as a kid (as did my father, well before 1957). To be sure, whenever I bump - these days - into discussions questioning the existence of man-made satellites, there will always be some NASA clown arguing that "hey, so what are these moving star-like objects we can see moving across the skies at night - IF NOT MAN-MADE SATELLITES?". Well, the simple answer is: they are so-called "near-earth asteroids" (many of them transiting across our skies closer than our own moon). And they have ALWAYS been there. Now, you may ask: does NASA deny the existence of near-earth asteroids? No, they don't : all they're saying, today, is that there are "a bit fewer of them than previously thought"... Of course, you can always trust NASA's word, can't you? Interesting reading... however not quite what I was thinking (small, 'fast' moving object across the night sky). As I've said before I certainly can see something 'dodgy' with the story we've been sold. The 'reasonable sounding' 'explanation' of their visibility. However I still think an eventual Cluesforum 'astronomy team' with some verified observations, calculated altitudes etc will be needed to truly sway neutrals. This would probably be a lot easier to do for any Cluesforum contributors who happen to live in some of the nicer & clearer regions of Earth. Critical Mass wrote: Interesting reading... however not quite what I was thinking (small, 'fast' moving object across the night sky). the question of apparent speed is an interesting one. As far as I remember, the many sightings (of apparent 'moving stars') I made in the clear Norwegian skies showed these small dots of light moving at quite different / diverse velocities (as seen / perceived from Earth, of course). The faster ones were, naturally, the easiest to spot / pick out and follow with the naked eye - as they passed across the star-studded night sky. The slowest ones, however, were so slow that you would only notice with difficulty (and prolonged, patient observation) that they actually were moving vis-à-vis the stars. the object that flashes by near the end is an artificial satellite." That Wiki page tells us that "2004 FH" was a 30-meter asteroid which passed the Earth on March 18, 2004 at only 42,600 km (26,500 mi), about one-tenth the distance to the Moon. Now, I can't seem to find any info regarding the amount of time compression of the above TIMELAPSED gif animation - nor any details as to what sort of 'artificial satellite' (which, we're told, is seen flying by in opposed direction) that is supposed to be. So we are left to guess at what sort of timeline and 'artificial satellite' we're meant to be looking at. But let us just postulate that it is meant to be the 108-meter wide "ISS" batship - flying by at approx 400km of altitude at 28.000km/h. If so, would it not seem to you that the "2004 FH" asteroid (meant to be passing overhead at 42.600km - i.e. more than 10X further away) is moving at a fairly brisk pace up there - in comparison with the supposedly far closer, alleged 'artificial satellite'? Perhaps if we know what it means, we can better understand the purpose of addressing the asteroids as "satellites" of the Sun or other cosmic things. Guarding and escorting us safely through the mental perils of thinking outside the Earth box? Naturally, the first use of the word "satellite" to refer to various and sundry things out there could be credited to none other than that knave of science Johannes Kepler (to refer to moons of Jupiter). But since the word has much older connotations, it's certainly been useful for NASA to pinch off the history of the word with one of their favorite saboteurs. They're even naming science-fiction craft like — what else? — a deep space "satellite" (though what it attends and guards by itself amongst wild and dangerous space debris is unclear) after Kepler. Remember to "friend" their three Facebook pages — note: two are not as official. This kind of fakery makes me want to puke. It seems that fake rocket launches all follow the basic style laid down by Frau Im Mond, right down to the details. Discovery News wrote: It turns out Earth’s single giant moon might not be the only one floating around out there. In fact, at any given time, there may be at least one other “minimoon” orbiting our planet as well. A moon doesn’t have to be gigantic — our minimoons can be as small as one meter across. But they are definitely orbiting us, sometimes for a year or more. Mikael Granvik (formerly at University of Hawaii at Manoa and now at Helsinki), Jeremie Vaubaillon (Paris Observatory) and Robert Jedicke (UH Manoa) have been simulating these minimoons and determined the Earth definitely has more than one moon at any given time. While the typical minimoon might hang around for around nine months, some might orbit for decades. Is there any reason why the thousands of 'mini-moons' and 'satellites' shouldn't be orbiting at the same speed once their mass has been 'captured' by the Earth's gravitational 'pull'' and thereafter in a steady direction? If so, shouldn't many of them be orbiting on parallel trajectories [flight paths?] and therefore be more noticeable because of their frequency 'in tandem''? By now we would be aware of this pattern and be accustomed to seeing the passing over of objects at approximately the same time and in the same direction, yet I cannot remember ever seeing anything of this nature other than the Moon and some 'familiar' stars. Watch this in and you will see why man made or artificial satellites are absurd. I can get into detail later or you an look at my posts on the ISS thread. Its science fiction like everything else. Whatever we are seeing up there is not what we've been told. The explanations we've been given are for children. Galileo was a liar. Copernicus was wrong. The information is online if you search. The winter solstice shows the heliocentric model flawed. Its nonsense. Modern cosmology is patchwork of fallacy. Its a house of cards like the rest of this canard. This is how the world was sold and LOST in "space" back in the 1950's. The whole world is Disneyland. The jokers laugh at us. What 'magic' (as in illusion or stage magic) do we see? Walt himself went out of his way to show off all the wonderful world of technology he created to make us believe cartoons were really moving. What we've been watching are basically live action cartoons. This is what we call the "MATRIX". or "AUGMENTED REALITY". Nothing is new. Oil paintings used to be used to sell one on myth and artifice. Words have meaning. Especially in Latin. Language is very important, you can see why we are not let in on that magician trick either. Word of mouth used to be the medium of BULL-oni propagation, back before one knew what was over the next hill. Now we have the web of the cloudy internet to look at. Luckily for us, there's two sides to this sword. This screen can be used as a gate. The gate is unlocked. You keep you inside the pen with all the sheep. The gatekeepers show you where the way out is. Hints have been given for years. The elite (an el-ite?) know the end is coming and have prepared for a long time, I'd wager. Listen to the music they have used to charm the masses and realize the lyrics have been telling you the truth, hidden in metaphor, the whole time. The artists might get paid, and might sign on the dotted line, but they side with the masses more often than not. And they point to the way out of the trap like a gatekeeper has to, by definition. The elite 'roll out' their contrived commercial products on a yearly basis. Back then it was space as product to sell to the masses. An opiate. A fiction to believe in like Santa Claus. Pushed by what "WE" can accomplish. But there is no "WE" in the corporate entity we know as the "USA". Its all set up. There is no real capitalism, its feudalism really. Its all rigged behind the scenes. Disney is one part of the hydra. Don't believe what you see on screens. When viewing this, turn the sound down or off. The voice over is there to convince you what you are seeing is real. This is the trick and this is mind control. This is MK Ultra. Its called advertising. Its hypnosis. You have been conditioned to accept this as real. 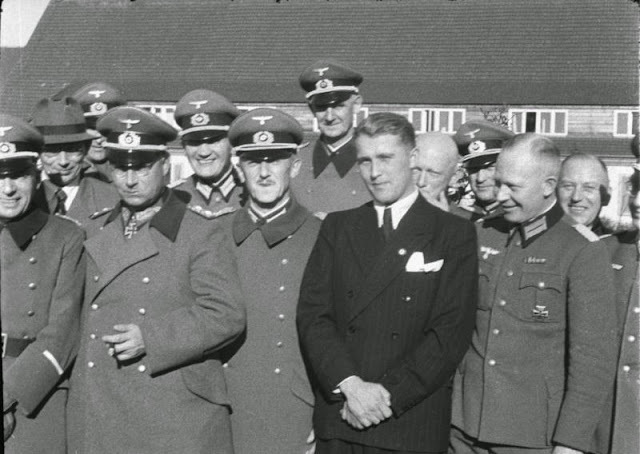 Verner Von Braun the evil SS NAZI space guy is an actor. None of it was real. Walt Disney was not a monster or satanist who hired NAZIs. I think that story as phony as the rest. These people are performing for the cameras. Dress a guy in a white lab coat and the masses will think he's as smart as Einstein...who is another fraud. The rocket would never be able to maneuver to the degree they would need it to, to get into orbit. The centrifugal explanation is garbage. Ballistic physics shows what would happen to a rocket or satellite. Either it falls back to Earth or it flies off into space. There is no in between. If energy were used to try to maintain some kind of orbit, it would still be falling. If its gravity is negated, it flies off into space. Do the experiment. Twirl an object on a string as fast as you can and let it go. If the race track disappeared while a car was driving in the upside Hotwheels track loop, the car would fly off in a straight line. We are expected to believe a rocket can be weightless and still attracted to the Earth. Do the experiment with centrifuges here on Earth or look at them online. A washing machine disproves what NASA has been showing us. They need another force of some kind to explain the object staying in orbit. Poetry and choice of words is important as the world we know as real is just art. By the time enough of us wake up and peak behind the curtain the man who once sat there will be long gone. And perhaps we will see nobody has been running the show for a long while. of orbit, it would still be falling. If its gravity is negated, it flies off into space. Do the experiment. Twirl an object on a string as fast as you can and let it go. If the race track disappeared while a car was driving in the upside Hotwheels track loop, the car would fly off in a straight line. We are expected to believe a rocket can be weightless and still attracted to the Earth. Do the experiment with centrifuges here on Earth or look at them online. A washing machine disproves what NASA has been showing us. They need another force of some kind to explain the object staying in orbit. Well the popular answer given is the Gravity turn or pitchover whereby rockets change their direction from vertical to a horizontal "orbit" which is why they don't fly off into space and explains their curved trajectory into orbit. Not that i buy that but your twirling experiment on a string does not say why why that is wrong. I agree with your premise personally but not for your reason why it's wrong. Don't let me stop you from thinking that the explanation above makes sense. I'm not trying to tell anyone what to think when I post here. If you've read what I wrote and already understand those subjects, I can't and won't tell you to 'think different'. I'm getting too old for debating and am way more interested in reading what other's think about the nonsense we're sold as real. ProperGander wrote: Don't let me stop you from thinking that the explanation above makes sense. Please avoid this passive/aggressive and off-putting defensiveness in the future. No reason to respond to his post unless you have something constructive, interesting, or thoughtful to say. ProperGander wrote: When viewing this, turn the sound down or off. The voice over is there to convince you what you are seeing is real. This is the trick and this is mind control. This is MK Ultra. Its called advertising. Its hypnosis. You have been conditioned to accept this as real. Verner Von Braun the evil SS NAZI space guy is an actor. ProperGander, in order to see that the guy is an actor I would advise the opposite. Keep the sound on, especially when the man portraying Wernher von Braun is speaking (31:45-37:45). His accent sounds phony to me. It sounds like an American trying to do a German accent, less like a native German speaker speaking English. The intonation (speech melody) is very 1950s American Broadcast English. Also listen especially to his Rs, very hard and “American” at times, although he does drop them occasionally (and in the 1950s, dropping Rs was more frequent in the speech of American announcers). In true American form, the unaccented T turns into a D as in “Unided States” (32:51), “greader” (33:11) or “complicaded” (33:21) “flight simulador” (33:21). Real Germans, when speaking English, do not reduce the T to a D in these positions. Compare to Kraftwerk’s "Pocket Calculator" (“I’m the operator with my pocket calculator.”) Very hard T there. Also, hear how he says “now here's a mahdel" (33:51). A real German would have no reason not to preserve the quality of the “o” in that word of his native language, as it also would be acceptable for American English. To return to the original topic, proving that Wernher von Braun is an American actor does not prove that the technology he supposedly developed is fake, but if Wernher von Braun was just an act, it does make you wonder. Last edited by Undoctored on Sun Apr 26, 2015 7:26 pm, edited 1 time in total. Undoctored wrote: His accent sounds phony to me. It sounds like an American trying to do a German accent, less like a native German speaker speaking English. The intonation (speech melody) is very 1950s American Broadcast English. You got me convinced there. It also makes so much more sense that the von Braun clown was played by an American actor. Perhaps he played the part of an "original" German von Braun who disappeared during WWII, or perhaps the "original" was from the beginning the name of a military operation, rather than a person. Undoctored wrote: Should we start a "Wernher von Braun" topic? Absolutely. How about "Who was Wernher von Braun?" So his basic assumptions are that at least some "satellites" do exist and do function in some way, but they don't orbit and don't work the way which is genererally assumed. He may well be onto something. I think it's abundantly clear, that e.g. wheather satellites can't really provide clear photographic images of anything, and there's no photographic image of our earth taken from any of the "geostationary" satellites (which are allegedly far away enough to easily snap pictures of our "planet"). That alone is enough evidence that something isn't quite right with "satellites". However, there are some valid points in his argumentation that not everything can be explained away by "ionospheric reflections" or other "earthly" means, so he thinks there has to be something "up there".